On most peer to peer lending services (Prosper, Lendingclub, Smava, Boober) the identity of the borrower is hidden to the lender. Only the service itself knows the identity of the borrower. Therefore the lender has no means to check if information given is accurate and has to trust the platform. instill trust to the lender that the fraud risk of borrowers impersonating under a false identity is minimal, non-existant or while existant not covered by the lender. Prosper reserves the right to buy back loans at any time. If Prosper buys back a loan, the outstanding principal balance will be returned to lenders and the loan will be marked as "repurchased". Prosper typically repurchases loans in accordance with Prosper's 100% Identity Theft Guarantee, under which Prosper has agreed to repurchase loans from lenders if the loan is found to involve identity theft of the named borrower's identity. Prosper is committed to providing a safe and secure marketplace, and works with law enforcement authorities to prosecute to the fullest extent perpetrators of identity theft. Rateladder had one of his loans repurchased today. But how often does this occur? Looking at the Wiseclerk Prosper loan stats by status, the column Repurchased shows a value of 400000 US$. Out of the total loan value of 96 million US$ that is about 0.4%. Not all of the repurchased loans are due to identity fraud. Prosper checks identity by several measures like checking documentaion supplied by the borrower, calling him, verifying bank adresses, sending postcards to his adress… There have been several discussions on this topic with details on the Prosper forum. Other services use other measures. 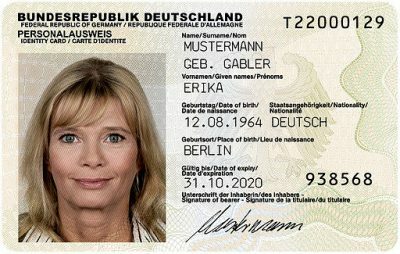 German Smava.de uses the PostIdent-process a service that requires the registering service to produce a government id (passport) in person. The Postident process is used by nearly all German online banks and is considered quite safe. P2p lending services can tolerate only a low level of identity theft cases. The innovative approach of p2p lending requires that lenders trust the concept and the service. Fraud cases endanger that trust.